Location: explains the exact location of the psoas within the human body and its relationship to muscles, bones and organs. Function: clarifies the diverse functions of the psoas and how it serves as a hip flexor, tensile structure, pump and shelf. Effects: details the effect the psoas has on structural balance, joint rotation, muscular compensations, organ functioning, breathing and emotional well being. Childhood Conditioning: explains the complexities that are inherent in a short or contracted psoas muscle and looks at the ways parents can support a child’s developmental growth. Women’s Cycles: suggests ways of working with the psoas throughout every phase of a woman’s life. Includes how releasing the psoas can relieve menstrual cramping and discomforts, supports mother and fetus throughout every phase of pregnancy, eases labor and help provide the conditions necessary for vaginal birth. 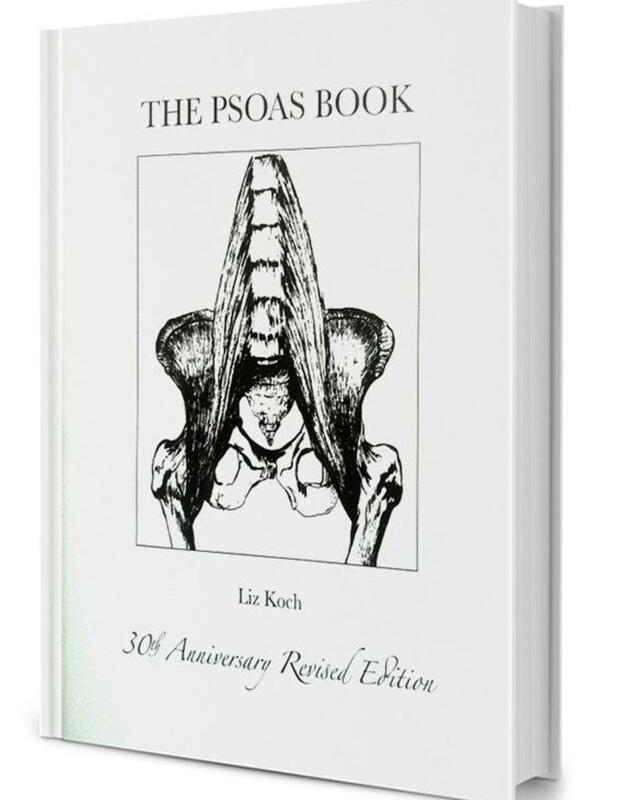 The healthy psoas offers stability throughout the changes of menopause. The Fear Reflex: offers insight into the voluntary and involuntary flee or fight reflex and the emotional patterns of which the psoas muscle is a part. A strong case is made for not palpating or engaging manipulative/invasive techniques when working with the psoas. Releasing The Psoas: gives simple instructions how to release tone and lengthen your psoas muscle. 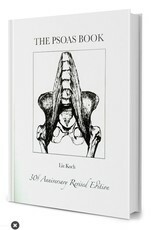 Approaches to the Psoas: reviews popular body systems and their somatic way of working with the psoas (dated material). Applications: offers ergonomic ways to properly engage the psoas in everyday activities such as walking, sitting and choice of shoes.